The fluxtrap background of string theory provides a transparent and algorithmic way of constructing supersymmetric gauge theories with both mass and Omega-type deformations in various dimensions. 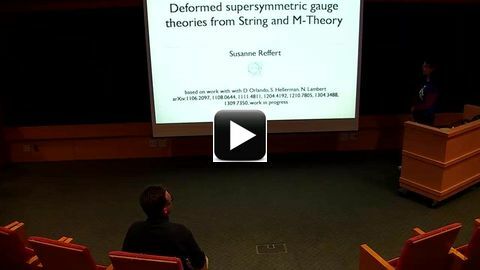 I will discuss a number of deformed supersymmetric gauge theories in two and four dimensions which can be obtained via the fluxtrap background from string or M.theory. Such theories, the most well-known being Omega.deformed super Yang.Mills theory in four dimensions, have met with a lot of interest in the recent literature. The string theory treatment offers many new avenues of analysis and applications.